Myakka Pines is a friendly Equity owned 27- hole golf course, that is both challenging and fun to play. Our Club is fiscally sound and ever vigilant to strike the proper balance between fee players and equity owners. We strive to maintain the clubs vision statement and Myakka Pines’ “founding philosophy” of our being an affordable club and a friendly place to play golf. We offer several types of memberships and pass holder opportunities, below is a summary of what we offer, these include tax and all required fees. The applications will provide detailed information and optional fees for each of these programs. We hope you find something that will fit your needs and join the Myakka family. If you have any questions contact our General Manager, T.K. Matthews 941-474-1753 xt 310 or email TK@myakkapinesgolfclub.com. 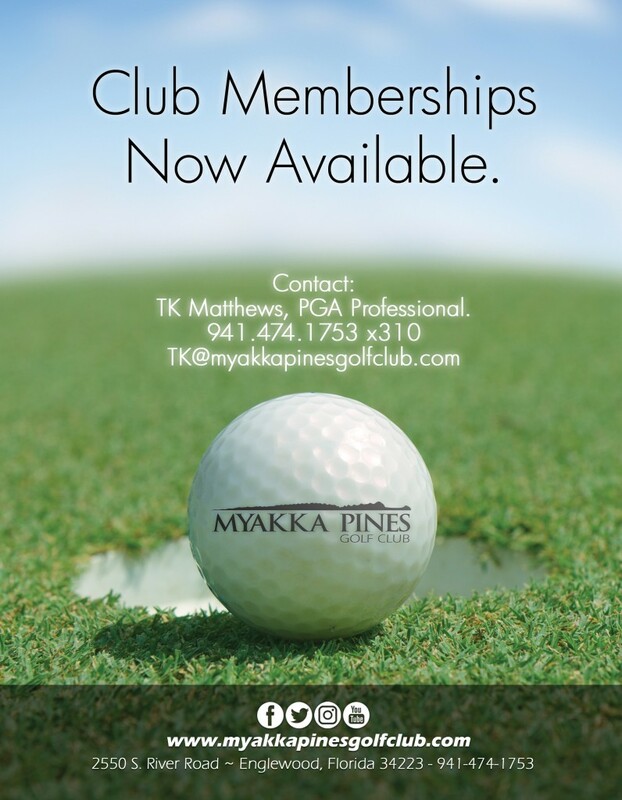 The Myakka Pines Golf Club of Englewood, Inc. is a semi-private golf course that is not for profit,member-ownedd, and composed of 440 memberships in accordance with the Club By-Laws. Please submit form to receive more information.